Please note that this chapter may contain sexually explicit and violent images and text. Equally please do not view this chapter if such material may offend. 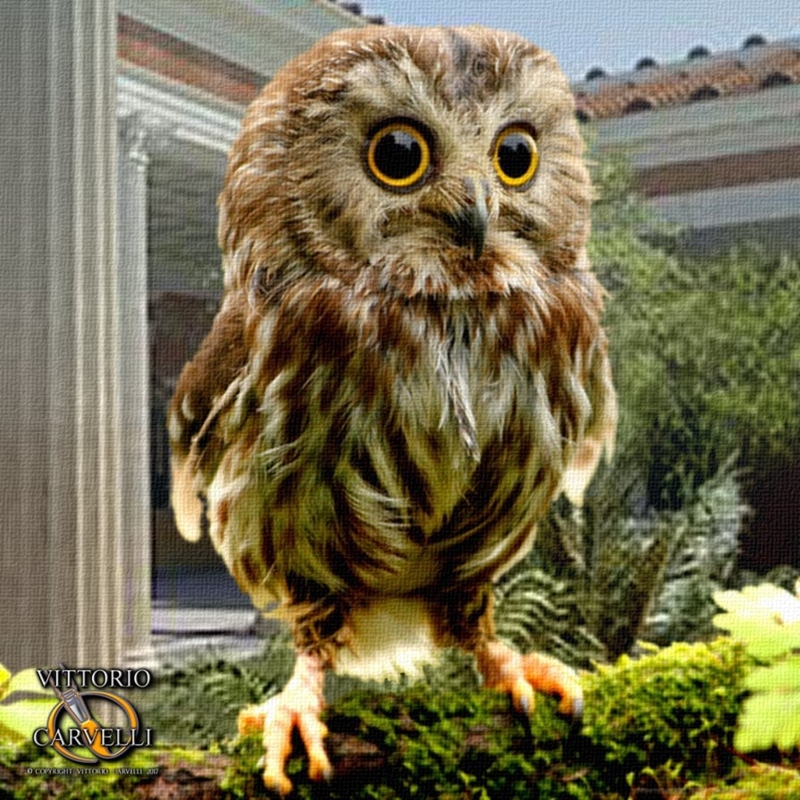 It has taken some time for the residents of the Villa Pastoralis to get over the initial shock of coming face to face with their new guest, Faunus. Getting over the shock of meeting a boy, who seems to know all about their past, and even their innermost thoughts, is one thing, but accepting him as a real 'faun' is another matter, - however his odd habit of disappearing, and then popping up in the most unlikely places tends to make them believe that, as Adonios had said, Faunus 'is more than he seems'. The next hurdle however, is to come to accept that Faunus and Glaux seem to be on some kind of 'mission', on behalf of the Goddess Athena (the sister of Apollo, and hence Palladis), with the intention of sorting out the rather confused lives of Marcus and co.
And not only is their acceptance required, but also their cooperation, which is probably going to test Faunus and Glaux to the very limit......so read on. Ἀθηνᾶ - Athena - often given the epithet Pallas (Παλλὰς), is the Greek goddess of wisdom, craft, and war, and her bird, Glaux, is the symbol of wisdom. 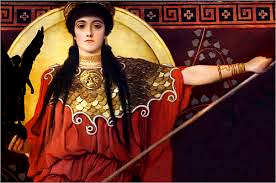 In later times, Athena was syncretized with the Roman goddess Minerva. Athena's epithet, Pallas, is derived either from πάλλω, meaning "to brandish as a weapon", or, more likely, from παλλακίς and related words, meaning "youth, young woman". She is the Pallas of Athens, Pallas Athenaie, just as Hera of Argos is Here Argeie. 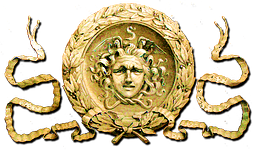 In later times, after the original meaning of the name had been forgotten, the Greeks invented myths to explain its origin, such as those reported by the Epicurean philosopher Philodemus, and the ancient mythographer Pseudo-Apollodorus, which claim that Pallas was originally a separate entity, whom Athena had slain in combat (female gladiators ?). In one version of the myth, Pallas was the daughter of the sea-god Triton; she and Athena were childhood friends, but Athena accidentally killed her during a friendly (?) sparring match. Distraught over what she had done, Athena took the name Pallas for herself as a sign of her grief (theme of confusion of identities). 'Morning at the Villa' - Well, actually we are still recapping a little but......Faunus and Glaux spent much of the previous night in the forest, mulling over the day's events, and deciding how to go about getting their humans to start behaving a little more purposefully, in accordance to Athena and Apollo's instructions. It was undoubtedly a difficult task for the pair, who had been working, in the background of course, for a very long time on this project. Having now come out into the open, as it were, with the appearance of Faunus at the villa, they realised that they must take advantage of the relaxing atmosphere of Tibur, and take a more proactive stance. 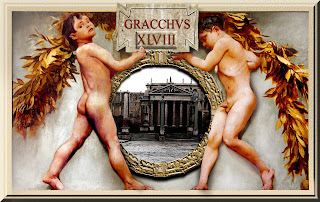 Glaux had returned to the villa just before daybreak because wanted to be there when Adonios woke up, so that his young friend would not be worried or concerned about his safety. On the terrace overlooking the gardens of the villa, slaves, supervised by Keos, were setting out the breakfast, in preparation for the Dominus and his guests. Terentius was the first to appear, accompanied by Philipos. Terentius was normally an early riser and, as usual, was arguing with young Philipos over a missing scroll. No one had ever been sure about the relationship between Terentius and Philipos - Terentius' senior scribus (secretary), despite his youth. They always shared the same apartment, in which ever villa, domus or palatial mansion they were staying, when on the business of the Dominus - and presumably they shared the same bed. Well Philipos was young - in his late teens - and very good looking, in a dark, sultry way, however he and Terentius seemed to be almost perpetually arguing - but about work - and then they would make up - maybe in bed - and then argue again. It seemed a strange relationship, but at least it was predictable, and without Philipos, Terentius would never have been able to manage his massive work-load. After Terentius, Novius arrived, and then Petronius, accompanied by Adonios. Glaux, however, had remained in Petronius' apartments, sound asleep on the back of a chair. He was catching up, after a long night chatting to Faunus. Finally Marcus made an appearance, with Aurarius. Everyone at the table rose when Marcus arrived, wishing the Dominus 'Bonum mane', (good morning), while Aurarius held his chair for him. Once they were all seated, the slaves began serving the food and drink. "So, did you sleep well, Dominus ? ", Petronius asked. "Yes remarkably well. ", Marcus replied, glancing up at Aurarius. "And no more dreams about Athens ? ", Petronius asked, smiling. "No.....just one was enough, I think. ", Marcus replied. "And were you serious about going to Athens, Dominus ? ", Novius queried. "Of course ", Marcus replied as he took of bite of spelt slipper bread. Spelt slipper bread was a type of bread popular for prandium (breakfast), particularity as it had a very sweet taste. "And did you know that close to Athens is the town of Eleusis ? ", Novius continued, as Terentius watched Marcus carefully. 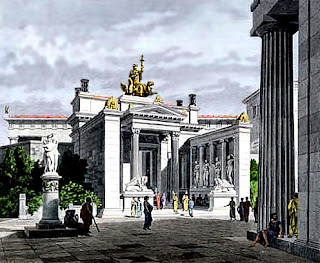 Remember, I used to live in Athens, and I visited Eleusis a number of time with my father. ",Marcus replied - and it was noticeable that Marcus' voice faltered as he mentioned his father. "And why, if you don't mind me asking, did your father go the Eleusis ? ", Terentius asked. "Oh, he was a government official, Terentius - I thought that you knew. ", Marcus explained. "Maybe - I must have forgotten. ", Terentius said, excusing his mistake. And as soon as Eleusis had been mentioned, Adonios was watching Marcus and Petronius very carefully. "So presumably you know why Eleusis is so famous. ", Novius added. "Of course - I suppose everyone does - am I right ? ", Marcus answered, seeming just slightly embarrassed. All four adults round the table nodded. "And are you planning to go to the shrine ? ", Novius asked. Eleusis was a shrine located fifteen miles north-west of Athens, on a gulf which is almost entirely closed by the island of Salamina. The exact date of its foundation is unknown, but it is generally set in the VIIth century BC. The fame of Eleusis was due to its initiation rites (Greater Mysteries and Lesser Mysteries); those admitted gathered in the Telesterion, a large hall rebuilt several times; Telesterion means "place for initiation"; the initiates sat on rock cut benches, and they were lectured about the content of the ceremonies, and shown the sacred relics kept in the shrine. We know relatively little about the actual rites because those involved in them were bound by a vow of secrecy. Initially the ceremonies held at Eleusis were a fertility rite and the celebration of a society based on farming. A at Eleusis portrays two women (Demeter and her daughter Core/Persephone) bestowing ears of wheat on Triptolemus, the son of a King of Eleusis, but in this context a personification of mankind. Triptolemus was supplied with a wooden plough, and taught how to use it. The relief is illuminating about the superior role which female deities had in the early stage of civilization. 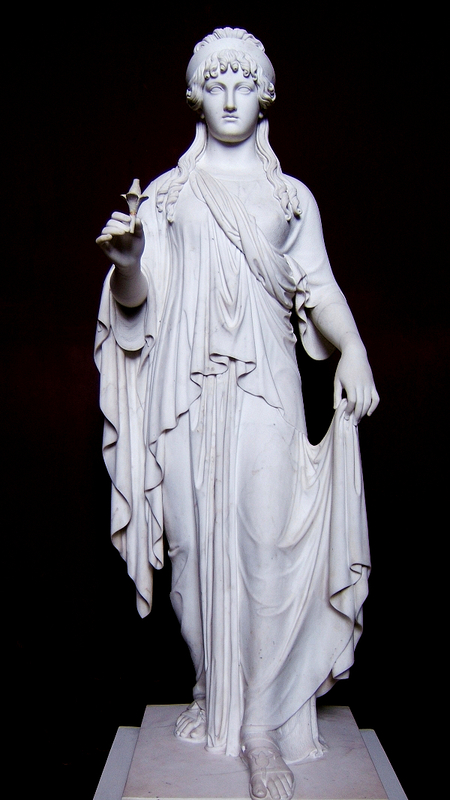 Demeter is thought to mean Earth-mother; her Roman equivalent is Ceres, goddess of grains. Now Novius was obviously deeply interested in the Rites of Eleusis, as he believed that such rites had probably influenced the development of the Etruscan religion, which was his obsession. At that point Faunus (minus his horns) and wearing a very fine tunic, mounted the steps leading to the terrace - so Marcus never got to say if he would visit the shrine at Eleusis. "Ah, Faunus, I believe. ", Marcus said, rising from his seat. Aurarius, of course, thought that Marcus rising to greet Faunus was very odd. When Marcus held a morning 'salutatio', he remained seated throughout, as his cliens were presented to him - many of whom were high ranking patricians, and yet here he rose from his seat for a teenage boy. "Come, sit by me, as Keos has already laid a place for you. ", Marcus said, pulling back a chair for Faunus. "Thank you, Marcus. ", Faunus replied. "I hope that you had a pleasant evening yesterday." "Yes. ", Marcus replied, "But we were disappointed that you didn't join us. ", Marcus continued, very politely. And it seemed that Marcus had come to accept that Faunus was not going to address him as 'Dominus'. "So, what were you doing last night ? ", Marcus asked. "I had important business to attend to. ", Faunus explained - without really explaining anything. "And did this ....business go well ? ", Marcus asked. And it was difficult to know if Marcus was not being just a little sarcastic. "Well...I really don't know....yet. ", Faunus said mysteriously. "So, Faunus, have you ever visited Athens ? ", Novius asked, trying to end the awkward silence after Faunus' slightly ominous 'yet'. "Of course - it's the home of the main shrine of my mistress. ", Faunus replied, in his usual forthright manner. 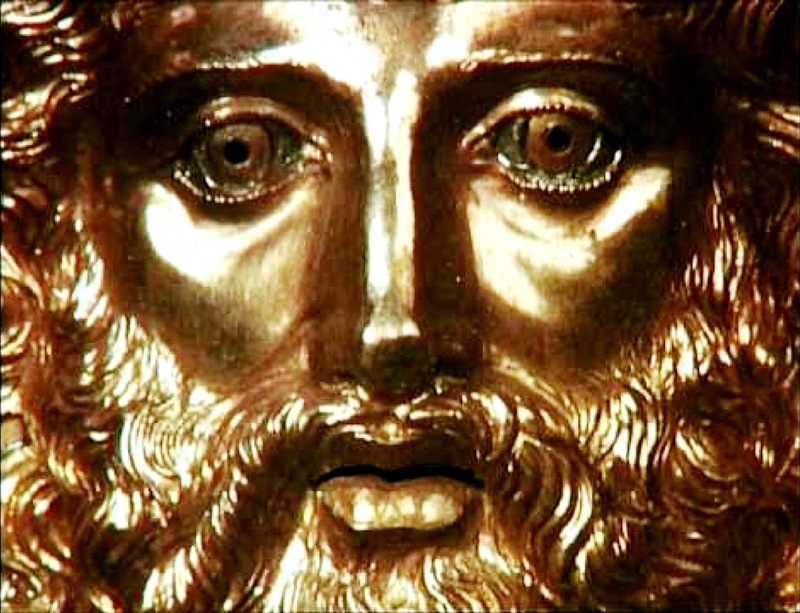 "But you have not visited the shrine of the Goddess, and would very much like to - so why don't you tell Marcus ? ", Faunus said. "Well...! ", Novius spluttered, obviously embarrassed, "That's true, Dominus. I would very much like to go to Athens. ", a red-faced Novius admitted. "Then you shall come with me. ", Marcus replied magnanimously. "And what about you, Petronius ? Would you like to join us ?" Marcus asked cheerfully. "Well, why not, Dominus ?" Petronius replied, not really giving the matter much thought. At that moment Demetrius arrived on the terrace, with Aelius. "Bonum mane, Dominus...." Demetrius said, rather self-consciously. "Rather late, isn't it ? ", he continued, questioningly. "My apologies, Dominus. ", Demetrius replied, realizing that it would be pointless to make any excuses. "Send your boy away - this is a private discussion...", Marcus said coldly. Aelius slunk off, leaving his master. Marcus then turned to Petronius. "After prandium, if your'e free, take Demetrius to the Gymnasion and give him a good work-out, to wake him up, and then an hour in the pool. ", Marcus said briskly. "Yes, Dominus. ", Petronius said, grinning. Marcus then turned to Faunus, pointedly ignoring Demetrius. "Tell me Faunus, will you be accompanying us to Athens ?" Marcus asked. "Of course !...I thought that would be obvious. ", Faunus replied. "And will you be attending the 'Mysteries' at Eleusis with us ? ", Novius asked. The 'Mysteries', as you call them, are only for you humans. We fauns know all that there is to know of the 'Mysteries', and so have no need of the Elusian Shrine. But I will come with you to the threshold. ", Faunus replied. "So you know the secret of Eleusis ? ", Terentius asked fascinated and intrigued. "Of course." Faunus replied in his disarmingly direct manner. "But we, like you humans, are bound by the most solemn oath of secrecy. ", Faunus explained. "And anyway, the secret of the 'Mysteries' cannot be expressed in words - it is a visionary revelation." "I see. ", Terentius said, not really understanding, and obviously disappointed. "And what about you, Terentius. Are you coming with us ?" Marcus asked. 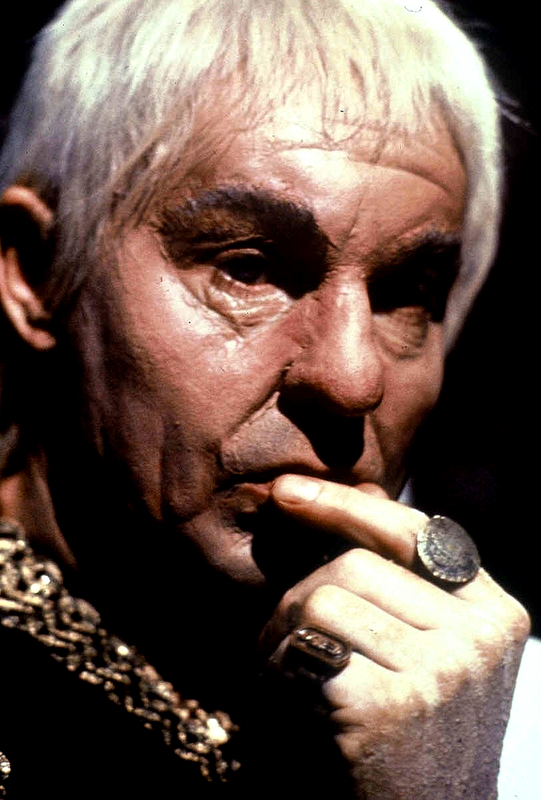 "Well, much as I would like to, for the moment I must return to Rome, as there is much business to be done there. ", Terentius replied. "I see. ", Marcus answered, sounding disappointed. "Well the offer remains open, if you change your mind. ", Marcus added. "Now the mysteries will be held in the Autumn - if I remember rightly, Novius,", Marcus began, and Novius nodded in assent. That's the the Attic month of Βοηδρομιών (Boedromion). ", Novius explained, interjecting. "So we have time to return to Rome, and then make our way to Baiae, to hold the Autumn Ludi, and then down to Brundisium, and probably a rough crossing to Πειραιώς (Piraeus). So...lets enjoy a few more days in Tibur, and we shall be off !". Marcus said enthusiastically. Marcus seemed genuinely enthused by the prospect of being busy, - with his first speech in the Senate, in Rome, the Autumn Ludi in his beloved amphitheatre in Baiae, and then his return, after so many years to his 'home' in Athens. It seemed that Faunus had been very clever in planting the idea of Athens in Marcus imagination, (and all with just a little music from a syrinx) - and just at the right time, and in a manner that would see Marcus acting productively and purposefully. Of course Faunus was looking quite pleased with himself, as his plans were going quite well.... so far. Marcus, of course, thought that the new direction of events was all of his own doing, and that is exactly what Faunus wanted Marcus to think, after all, the 'project' engineered by himself and Glaux would have no permanent effect if Marcus or Petronius felt that they were being 'manipulated'. And so the breakfast meeting broke up, with Terentius heading for his study and scrolls, followed by Philipos, who was still maintaining that he had not lost the scroll in question, and that Terentius must have mislaid it. Demetrius, rather dejectedly followed Petronius and Adonios to the Gymnasion, and Novius made his way back to his study to do yet more research - in this case on the rituals at Eleusis. Marcus then turned to Faunus. "And what are you going to do, young man ? ", Marcus asked. "Well, I'm going for a swim - but in a pool in the forest - not here in the villa." Faunus replied, eschewing the marble and mosaic luxury of the villa pools, for the sylvan delights of a natural spring and pool. "Do you mind if I join you ? ", Marcus asked, causing Aurarius to nearly fall off the terrace balustrade on which he had been sitting. "Not at all. ", Faunus replied. "But only if you bring Aurarius with you. ", Faunus said. "What do you say ?". Marcus asked Aurarius. "Of course, Dominus. ", Aurarius replied, in his usual subservient manner. Faunus' next task was quite difficult, as he had to place some appropriate thoughts in Marcus' mind. Despite the fact that Faunus had previously described Marcus as an adolescent 'milk-sop', that was, as Adonios had pointed out, 'a bit harsh'. Marcus, of course, was no match for the 'steel' of Petronius when it was driven by the fragments of the Apollinarian 'avatar', but otherwise Marcus was quite strong willed, as his treatment of Demetrius that morning had shown. However, Faunus managed to successfully direct Marcus' thoughts, as we shall soon see. "Well, what about bringing Adonios and Glaux along - that's if Glaux can wake up ? I'm sure that Petronius won't mind, as he has Aniketos to help him with Demetrius." Aurarius was surprised at Marcus' suggestion, (but he hadn't worked out at that point that Faunus had a hand in Marcus' decision), and was also delighted to have Adonios for company. So Aurarius raced off to take Marcus' message to Petronius at the pool. Petronius was remarkably amenable to the suggestion, and made no objection, and so Aurarius and Adonios galloped up the stairs to collect Glaux. Faunus had already sent one of his 'strange' messages to Glaux, who was awake when the boys burst into Petronius ' atrium. Glaux, however, was a little peeved at being disturbed, but guessed that Faunus had plans for the morning escapade. While Aurarius and Adonios had been gone, Marcus had sent to the kitchens for a hamper of snacks and drinks, so that they could have a light lunch in the forest. "So... Marcus - are we all ready ? ", Faunus asked, pleased with his efforts so far. The boys, and Marcus nodded, and Glaux, sitting on Marcus' shoulder as Faunus had told him, twittered, having got over his initial grumpiness. 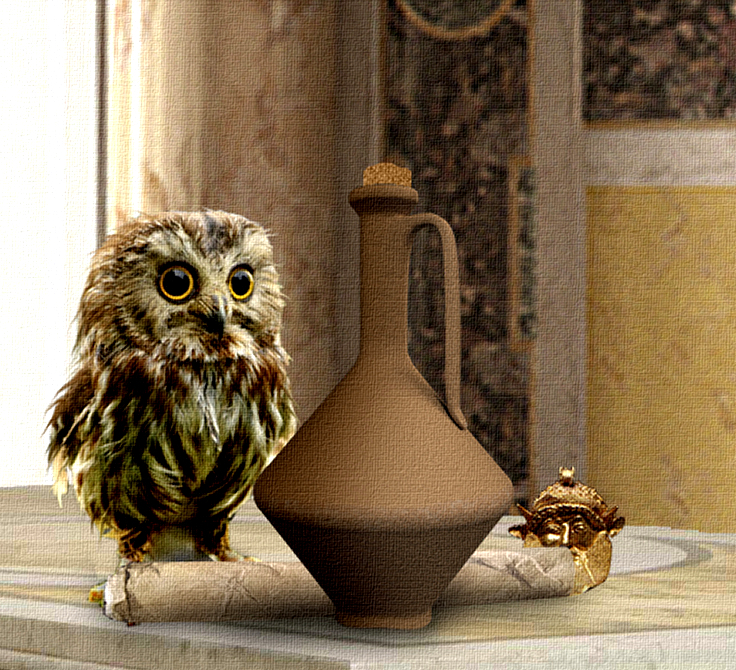 'Towards the New Age of Gold' - Now as you will have doubtless guessed, Faunus had a plan for this happy little outing - a plan that he had devised with the help of his very wise feathered friend, Glaux. If Marcus was to 'find himself'', as Faunus had so oddly put it, then Glaux was of the opinion that Marcus needed to go back and 're-experience' his past. Most of Marcus' teenage yeas had been lost in the depression of loss and slavery. In his heart Faunus knew that Marcus longed for the carefree happiness of his youth in Athens - 'the sun and freedom's breath'. And so Faunus and Glaux had planned for Marcus to return to Athens, in the hope that such a visit would awaken many of his memories, and youthful dreams and ambitions. But it was not easy for Marcus just to 'get up and go'. He had responsibilities, and so his trip to Athens would have to be delayed for some weeks. However, Faunus had decided to try to emulate, to some extent, the carefree pleasures of Marcus' youth with activities such as this trip to the forest as a gang of four lads - Aurarius, Adonios, Faunus and Marcus. This situation, of course highlights one of the many problems of wealth and power. It was one of the many reasons why Glaux thought that his humans were so 'stupid'. Here was Marcus, probably the richest young man in the Empire, with fame, money, power, lands and slaves, and yet deep in his heart he was essentially unfulfilled. And ironically, it was a little forest pool, a packed lunch and some teenage 'friends' which might just begin to relieve that lack of 'fulfilment'. The real problem, of course, made glaringly obvious from this trip, was that Marcus had no real friends. Everyone around him was a slave, one of his freedmen like Petronius or Terentius, or were people who were in total awe of him. To the world he was 'Dominus' - 'lord and master' - and even his attempt with Aurarius to be 'Marcus' was, in reality, just a misguided, clumsy sham. His idea of going to the forest pool he believed was his own (very good) idea. Just like everyone, he belied that the ideas that popped into his head were his own, and just like most of us he thought that his mind was an 'inviolate sanctuary', accessible only to himself. But, of course, that is not the case. As Faunus said, 'just read the Iliad'. 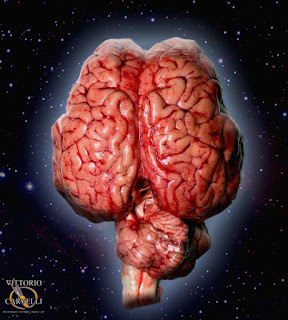 Bicameral Brain - Mind ? So Marcus and the 'boys', and Faunus and Glaux made their way through the forest, while Terentius and Nicander were rushing round the Villa Pastoralis, desperately trying to find 'the Dominus', who was supposed to be greeting his 'cliens' for the morning 'salutatio'. But Marcus was nowhere to be found, despite searches by slaves in the extensive gardens of the villa - and of course, no one bothered to search the forest, which was simply too large an area. And so Terentius had to inform the visitors to the villa that the Dominus was 'indisposed', but may be available the following morning. And then Terentius was left worrying about where Marcus could possibly be. In the back of his mind, however, he had a strong suspicion that this strange disappearance must have something to do with Faunus - but what could he do ? By the time Terentius had given up trying to find Marcus, the 'lads', guided by a happily fluttering and chirruping Glaux, had found the pool that Faunus had selected. The pool was quiet, and 'limpid clear', surrounded by dense foliage on three side, but with a gentle sloping greensward on the sunny side. Ideal for a picnic, for lazing and lounging, and drying off after a swim. So, in next to no time, all of them were stripped off and splashing about in the water - everyone that is except Glaux. Glaux would flap around in a nice clean puddle, occasionally, but generally speaking he did not like water - so instead, he just fluttered to an overhanging branch and simply watched. Having cooled off, and fooled around, they all climbed out and sat on the dry, springy turf, while Marcus, (surprisingly), unpacked the wicker basket and handed round the snacks. In addition he poured out wine, (already mixed with water), in four goblets. So things were returning, to some extent, to the old ways, with Marcus acting out his old role of cup-bearer, while Aurarius and Adonios had the unusual experience of being served by their master. This seeming reversal of roles in some sense echoed the Roman festival of 'Saturnalia'. 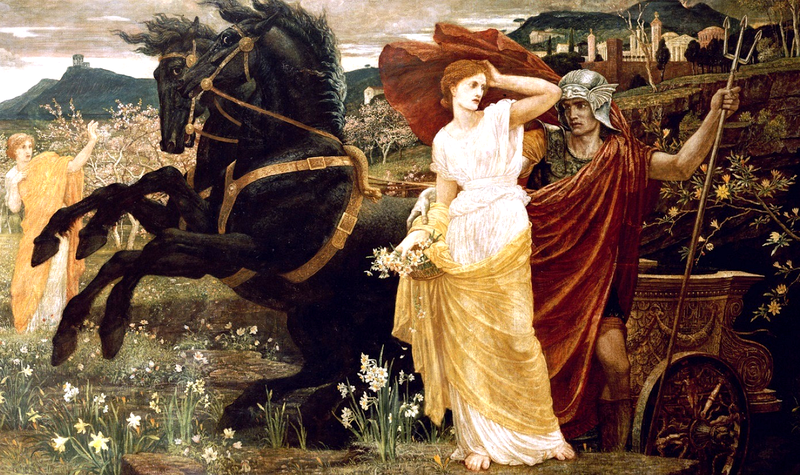 The 'Saturnalia' is the best-known of several festivals in the Greco-Roman world characterized by role reversals. Slaves, during Saturnalia, were treated to a banquet of the kind usually enjoyed by their masters. Ancient sources differ on the circumstances: some suggest that master and slave dined together, while others indicate that the slaves feasted first, or that the masters later served the food. The practice might have varied over time. 'Saturnalian license' also permitted slaves to disrespect their masters without the threat of a punishment. 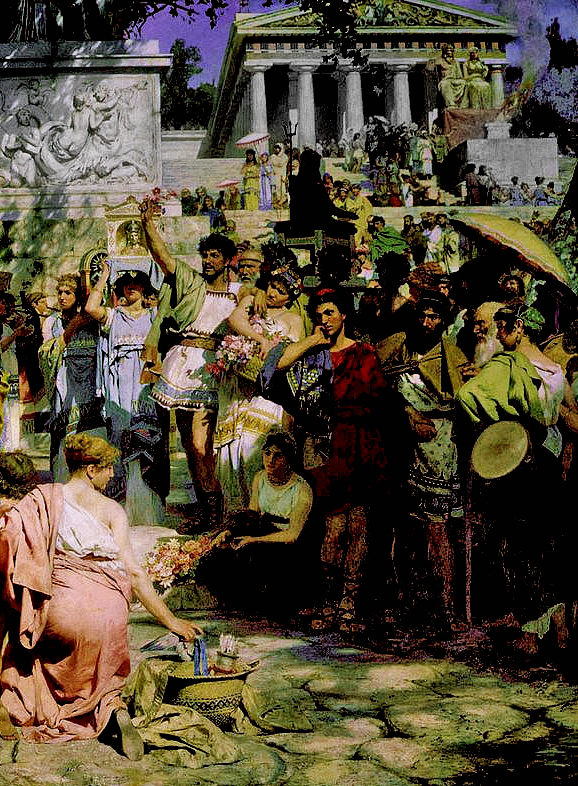 It was a time for free speech: the Augustan poet Horace calls it 'December liberty'. Saturn in Roman religion is the God of generation, plenty, wealth, agriculture, periodic renewal and liberation. Saturn, according to myth 'gathered together the race of fauns and nymphs who were previously scattered over mountain heights, and gave them laws … . Under his reign were the golden ages men tell of: in such perfect peace he ruled the nations'. The gathering at the forest pool may have had echoes of the Saturnalia, but not to the extent of the use of the salutation 'io Saturnalia' - an odd combination of Greek and Latin used during the real festival. The conviviality, bonhomie and role reversal of the occasion was almost unconscious, and totally relaxed. In some strange way no one even seemed to notice what was happening, as if the forest itself had been subsumed into its own private 'golden age'. 'Finding Ones Self' - After their lunch they all rested on the soft springy turf in the warm sunshine. Later, after their rest, the boys returned to the cool, limpid waters of the pool. Marcus and Faunus remained sitting on the grassy bank, watching Aurarius and Adonios playing, while Glaux dozed on a branch above. "Now that the boys are off having fun, it's a good time for us to talk. ", Faunus said, in his usual bold manner. 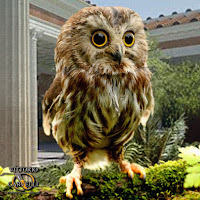 "I am very pleased to see that your decided to go to Athens. ", Faunus began, and Marcus nodded in agreement. "You were wise to be guided by your 'dream'. In the past humans were much inclined to understand their dreams as messages from the Gods - and that was all to the good, as long as the dreams were properly interpreted. Today, however, many humans dismiss dreams as the work of idle or 'fevered' imagination. Of course dreams can come from sources that are not in our best interests, but if we can consult the wise, then we can be assured of the probity of any particular dream. ", Faunus explained. "Tell me, Faunus, do you always talk like this ? - Like an 'advocatus' (Latin for lawyer) - or like Novius ? ", Marcus asked, grinning. Faunus looked a little irritated. When I'm speaking about something important. So pay attention ! ", Faunus said sharply. You are not really a teenage boy - you just look like one...", Marcus replied, still smiling. "Correct ! ", Faunus replied, - his eyes twinkling. 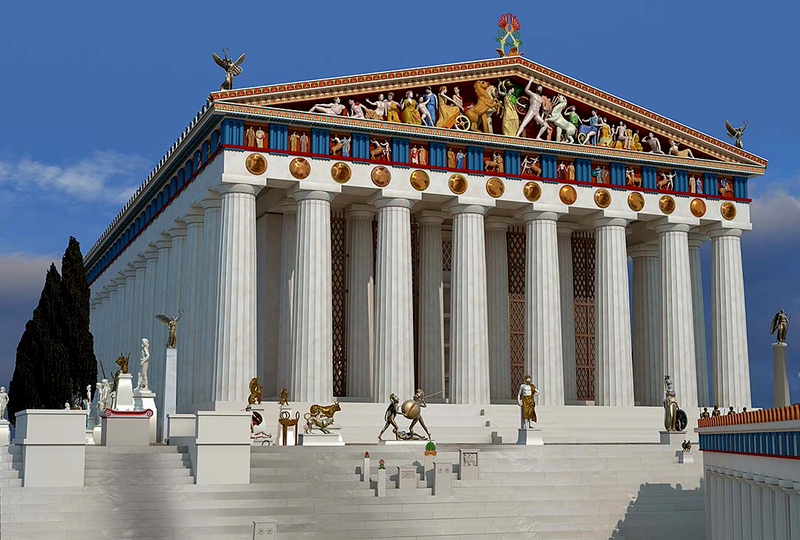 "So....may I ask...", Marcus began very deferentially, "Why is it such a good thing that I should go to Athens ?". Faunus stared at Marcus with a look of utter incomprehension. "Because that's where you left yourself - obviously. ", Faunus replied. "Well it's not obvious to me ! ", Marcus replied - patently puzzled. "Look - if we want to unearth the real Marcus, the we will have to find that self-willed and errant boy in the streets and fields of Athens. ", Faunus explained, sounding a little bit exasperated. "And why would we want to find that 'self-willed and errant boy' in Athens ? ", Marcus, who was by now getting very confused, asked. "Because that's the real you ! ", Faunus said - triumphantly. "And what's wrong with the me that's sitting here beside you ? ", Marcus pointedly asked. "Do you really think that the senate wants a 'self-willed and errant boy' as it's newest member ?". And with that Marcus lay back on the turf. "No - of course not. But we're not planning to make you a boy again, but rather we want to let that boy help you to see where things have gone wrong for you over the years - and bring you back to where you should be." Faunus replied in a conciliatory manner. "Well it all sounds very odd to me - but then, knowing you, as I do now, and knowing Glaux, I doubt if I have got much choice." Marcus said. That's the way." Faunus said cheerfully. Marcus got to his feet and went over to a fallen tree trunk by the pool. Taking off his loincloth, he joined the boys in the pool for a final swim. Marcus, however, was aware of time passing, and was worried that Terentius, back at the villa did not know where he was. "I think perhaps we should go back to the villa. ", Marcus said to Aurarius and Adonios. The boys looked a little downcast, but made no objections. Realising what was happening, Glaux fluttered down from his perch and landed on Adonios' shoulder. Marcus, Aurarius and Adonios climbed out of the pool, while Faunus re-packed the wicker basket. Not bothering to dress, they then made their way back through the forest, with Faunus guiding them. Marcus and the boys had no way of knowing the way back to the villa, but Faunus and Glaux seemed to have a perfect sense of direction. As the trees started to thin, the group stopped and dressed, not wanting to arrive at the villa naked. When they eventually reached the villa gardens, Marcus could see slaves keeping a lookout for them on the garden terrace. Undoubtedly Terentius would be waiting to gently scold Marcus for disappearing without saying where he could be found. 'Return to the Villa' - "May I ask, Dominus, where you have been - only we were worried about you ? ", Terentus asked, as Marcus mounted the steps to the garden terrace. "Of course - and I am sorry to have worried you. ", Marcus replied, trying to placate Terentius. "We decided, on the spur of the moment, to have a walk in the forest, and then we found a pool, and decided to have a swim. ", Marcus explained. "I know I should have told you - but it was such a beautiful day that I just wanted to get out as quickly as possible, with the boys, and take advantage of the sun. ", Marcus added, trying, but not very successfully, to justify himself. "Of course....I quite understand, Dominus... but unfortunately you missed the morning 'salutatio'. I took the liberty, therefore, of informing your 'cliens' that you would be available tomorrow morning. I hope that is agreeable to you, Dominus. ", Terentius replied quite formally, as slaves quickly arrived bringing refreshments. Terentius did not normally speak about business matters in front to Marcus' slaves, but in this case he wanted Aurarius and Adonios, and particularly Faunus, to be aware of Marcus' commitments the following morning. "Of course, Terentius. ", he said, politely. Aurarius and Adonios flopped down onto couches, greedily attacking their bread, olives and cooked meat (despite having recently eaten an alfresco lunch) - growing boys are always hungry - particularly after exercising. Meanwhile, Faunus stood to one side, silently observing Terentius and Marcus. "And so, Dominus, for how long are we to be staying here ? ", Terentius asked. "Well.... 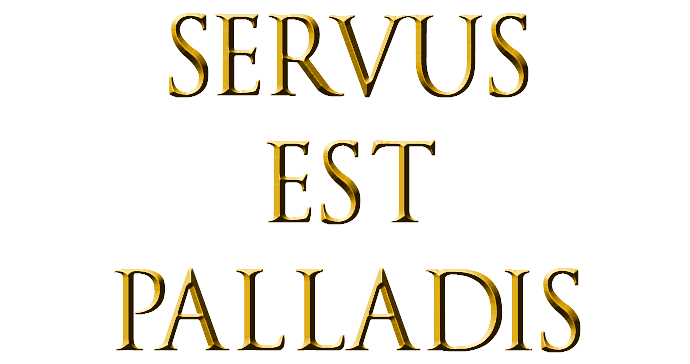 I have to return to Rome, briefly, to make my first speech to the Senate, and then there is the late summer 'Ludi' (Games) on the 'Kalendae Augustae' (Kalends of Augustus [Sextilis]) - which I wish to celebrate as the 'Spes Vespasianum'." The 'calends' or 'kalends' (Latin: kalendae) is the first day of every month in the Roman calendar. The English word calendar is derived from this word. The Romans called the first day of every month the 'calends', signifying the start of a new lunar phase. On this day, the 'pontiffs' (priests) would announce the number of days until the next month at the 'Curia Calabra'; in addition, debtors had to pay off their debts on this day (so it was a busy day for Terentius, as all those who owed Marcus money paid on that day). The 'calends' was a feature of the Roman calendar, but it was not included in the Greek calendar. Consequently, to postpone something 'ad Kalendas Graecas' ('until the Greek calends') was a colloquial expression for postponing something forever. Sextilis ("sixth") or 'mensis Sextilis' was the Latin name for what was originally the sixth month in the Roman calendar, when March (Martius, 'Mars' month') was the first of ten months in the year. It was renamed Augustus (August) in 8 BC in honour of the first Roman emperor, Octavian Augustus. 'Sextilis' followed 'Quinctilis', which was renamed 'Julius' (July) after Julius Caesar, and preceded 'September' (from 'septem', - 'seven'), which was originally the seventh month. Spes was one of the divine personifications in the Imperial cult of the Virtues. Spes Augusta was Hope associated with the capacity of the emperor as Augustus to ensure blessed conditions. 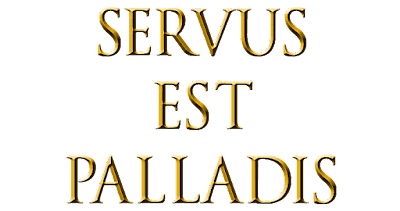 Like Salus ("Salvation, Security"), Ops ("Abundance, Prosperity"), and Victoria ("Victory"), Spes was a power that had to come from the Gods, in contrast to powers that resided within the individual such as Mens ("Intelligence"), Virtus ("Virtue"), and Fides ("Faith, Fidelity, Trustworthiness"). "After that," Marcus continued, "we will make preparations for our trip to Greece." Terentius mad a slight bow to indicate his acceptance of Marcus' plans. "And looking to the more immediate future - will you be available for the morning 'salutatio' tomorrow ? ", Terentius continued, worrying at the problem, like a puppy with a tough bone. "I've already said I would be there ! ", Marcus replied curtly. "So.... changing the subject... did you enjoy your walk and your swim, Dominus ? ", Terentius said, with a smile, trying to placate his young master. "Very much...", Marcus replied, and obviously placated by the interest Terentius was now showing. "It's very much what I needed after all the stress of Rome. 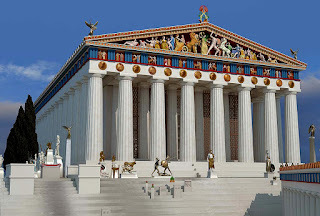 It also reminded me of when I was younger - in Athens. ", Marcus continued. "But now I must return to my work. ", Terentius said, perhaps a little pointedly. Work and Leisure - Freedmen, like Terentius tended to work hard, but the work consisted mainly of giving instructions and orders to underlings and slaves. Freedmen themselves were permitted to own slaves, and so were rarely required to lift a finger. Their work would usually consist of dictating to their slaves and assistants, who would then send such written instructions to managers and supervisors. On the other hand, Patricians, particularly if the were very wealthy, considered any form of 'work' to be beneath them. Essentially a patrician Roman male was required to be completely free of any outward coercion if he was to be considered a real man. His time, like his body was his to do with as he liked, without any restraints - unlike slaves, whose time and body belonged to their master. The result was that wealthy Roman patrician men were, in the main, 'dilettantes' - individuals who cultivated an area of interest, such as the arts, literature, (or in the case of Gnaeus Gracchus - the Ludi), without real commitment or knowledge. Often such dilettantes activities could only be achieved practically with the assistance of skilled slaves (Petronius in the case of Gnaeus Gracchus and Marcus). Slaves, on the other hand, usually worked from dawn to dusk. Sometimes the work was hard, as with agricultural and mining slaves, and sometime relatively easy, like a door keeper (such as Glykon). It was only in very rare instances that slave lived well and luxuriously, as in the case of Aurarius and Adonios, although it should be remembered that although they may eat the finest food, dress in the best clothes, an live in palatial luxury, their time ( an also their bodies) was rarely their own, and they were at the constant beck and call of their master - day and night. So Terentius went off to continue managing Marcus' empire-wide financial and mercantile interests, while Marcus decided what to do next. First he sent Adonios off the find Petronius. Then he had the problem of Faunus to deal with. 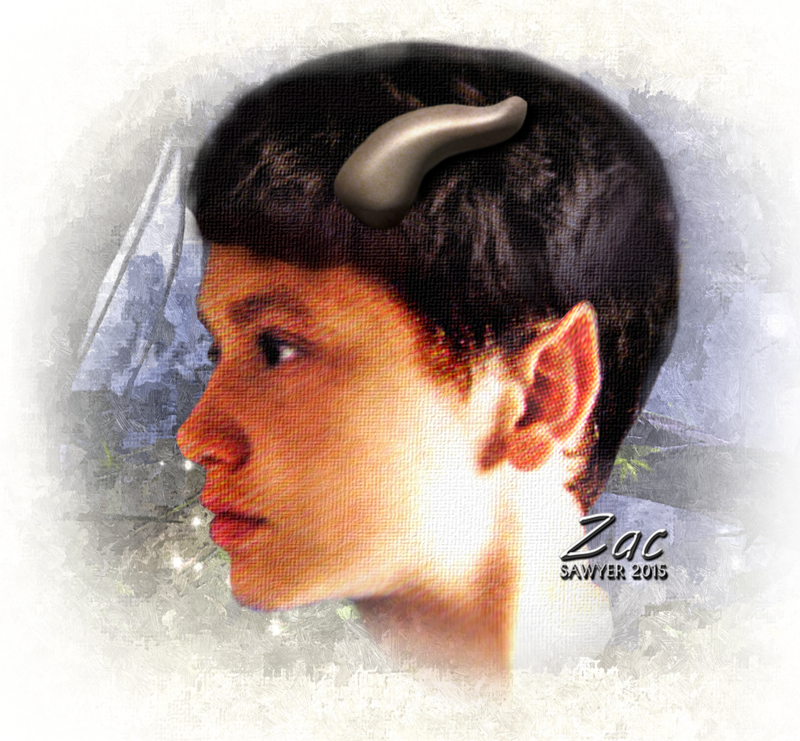 He could not simply dismiss Faunus, as the lad was not a slave, or even one of his freedmen. "Don't worry,", Faunus said, obviously 'reading' Marcus' mind - as was his alarming habit. "I intend to go and interrupt Novius - and have a talk with him.". Meanwhile, Adonios arrived back with Petronius and Glaux. Oddly, Glaux was insisting on sitting on Petronius' shoulder. "Will someone get this stupid bird off me. ! ", Petronius was muttering loudly, as he entered the atrium. Marcus could only laugh, but Adonios, following close behind Petronius, quickly rescued Glaux, who was looking thoroughly confused. "So how did it go with young Demetrius ? ", Marcus asked. "Well to begin with he was sulking. I think he thought that you had been a bit harsh with him - but after a bit of swimming he began to cheer up. He's really quite a good swimmer now. ", Petronius explained. "After the swimming I took him to the gym, and taught him some callisthenics. We then got to talking about the amphitheatre, and he wanted to know about the techniques of gladiatorial combat. He has good co-ordination, so I got Aelius to partner him in some 'mock fights' with wooden swords." Marcus raised an eyebrow, wondering where this might be leading. "Don't worry....", Petronius hastened to add. "I could hardly see them wanting to appear in the arena.....", Petronius said, grinning. "They'd probably both trip over each-other before they even manage to start." "Well just don't let them get too interested. ", he said flatly. 'Novius and Faunus' - Novius was in his study, deeply immersed in a scroll, and quietly humming a tune in what Faunus (being a superb musician) identified as being in the Aeolian mode. "Are you feeling sad ? ", Faunus asked, as he seemingly 'materialised' in Novius' study. "By the Gods.....you startled me ! ", Novius said as he turned away from his scroll to see where Faunus was. "Why can't you use doors, like everyone else ? ", Novius asked, but smiling to show that although he was startled, he was pleased to see Faunus. "Sorry - it's just a habit of mine....it's easier than having to go through doors...and there aren't any doors in the forest." Faunus said, trying to excuse himself. There was a brief pause, as Novius seemed to be 'sizing up' his young visitor. "And where have you been today ?.....Terentius has been rushing around everywhere trying to find the Dominus - who presumably was with you. ", Novius questioned. The boys really enjoyed it. ", Faunus replied. "And Marcus ? - Did he also enjoy it ?" Novius asked. "Yes...I think so, but we spent much of the time talking. ", Faunus said. Novius ignore Faunus' last comment about the conversation with Marcus. That could come later - or so he thought. Are you truly a servant of the Goddess Athena, and her brother, Apollo, or is this all just some weird game, with some clever hypnotism, and perhaps some conjuring tricks thrown in for good measure. ", Novius asked, breaking the seemingly casual mood. Faunus gave Novius one of his unnerving, and intense stares. "Novius......you do not have to ask that. You know the answer - so why waste time. ", Faunus said in his inimitable and disarming manner. There was an odd silence. "May I sit down ? ", the cute young faun then asked, putting Novius completely off balance by the everyday nature of his request. "Of course....", Novius mumbled, wondering what was coming next. Faunus took a deep breath. "For so many years you have puzzled over the writings of the ancients - and the not so ancient. Always searching..... and always seeking. Seeking for the truth - and knowledge of the divine." 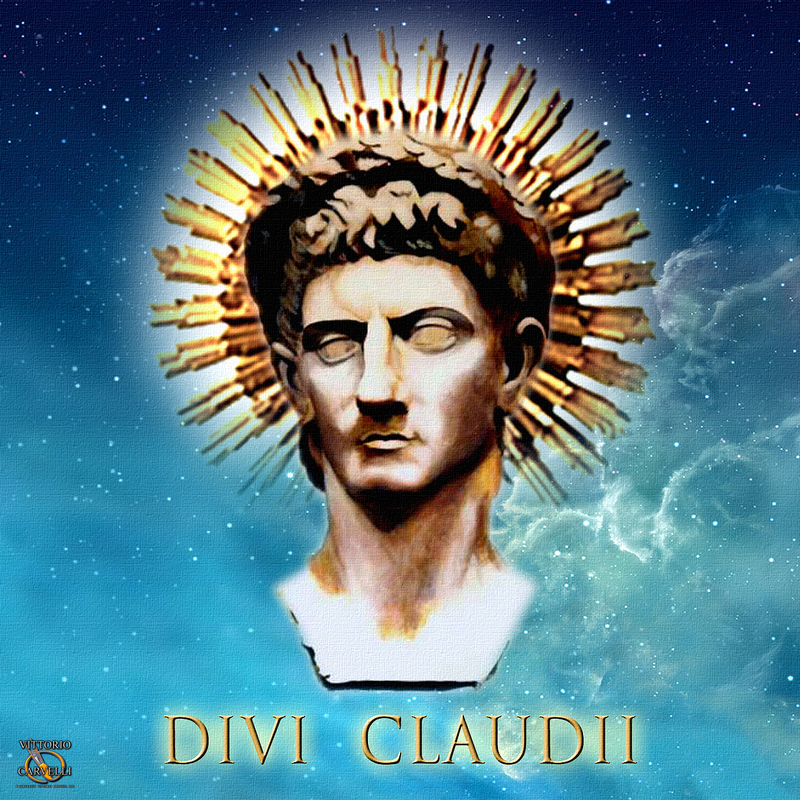 So strangely, you personally knew someone who is now declared to be a God - by Nero of all people - 'divi Claudii' - Claudius the God. Faunus paused for a moment in order to evaluate Novius' reaction. "And always there was that doubt - and not helped by Claudius' elevation to the ethereal heights of Olympus, by any means. Were the Gods real ? 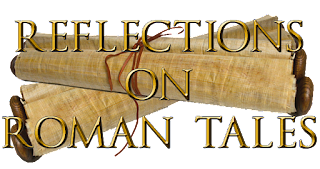 - Were the Greek - and the Roman - legends true ? - Was it possible to believe in demi-Gods, Heroes, the 'di inferi' - and even to believe in such inconsequential beings as fauns and nymphs ? And then, - suddenly...here I am....and ready to answer any of your questions. As to the Gods, heroes, 'di inferni' and the rest - well ...if I am real - they must be real. And you know I am real - simply because no stupid human could possibly know all the things about everyone that I know. No, - the Goddess - and she is the goddess of knowledge and wisdom - tells me what I need to know. Novius scratched his chin, trying to take in what Faunus had said. "What do you want to know ?" "Well...you've answered most of it already, but what intrigues me is why you have come here, - here of all places, and why to us, and especially to young Marcus ? - I mean the Dominus. ", Novius quickly corrected himself. "Well, this 'Dominus' business isn't going to help - not among friends. That's part of the trouble. Anyway, he's not your master. You're a freeborn Roman citizen. ", Faunus said. "Well, yes - that's true..." Novius replied, thoughtfully. "And calling him Dominus just makes a space between you. ", Faunus added. "Sometimes Marcus needs someone to be a 'father' for him, Novius. Remember, he's already lost two - and he's still very young. But you can't call your father 'master'. ", Faunus explained. "Yes....I see what you mean...",Novius replied, looking both thoughtful and sad. "But I can't just tell him I'm going to call him Marcus from now on. ", Novius said, obviously conflicted. "And why not ? ", Faunus asked. "It is his name, after all ! ", Faunus said in his disarmingly forthright manner. "Well yes..... I see what you mean....", Novius replied, reluctantly. "But can't you ....somehow...I don't know - make it seem acceptable to him ? ", Novius cajoled. "You mean yo would like me to put the idea into his mind that it would be acceptable. ", Faunus said. 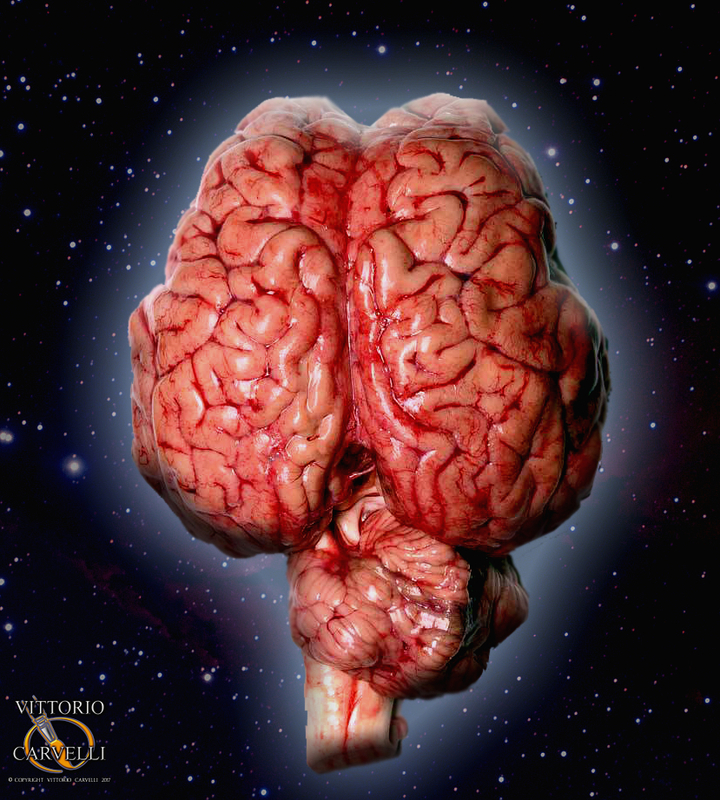 You did say that you could put thoughts into peoples minds - if I understand rightly. ", Novius explained. "I did say - and I can, and just for you I will. ", Faunus said. "As to your question about why I have come here - well that's not my business. 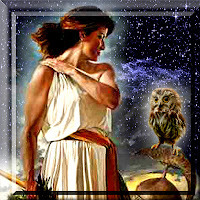 I go where the Gods send me - the Gods in this case being Athena and Apollo - and I do what ever they command me. And I don't ask questions. And maybe you also should not ask questions. Believe me - the Gods know what they are doing. ", Faunus said firmly. "And now I have to go. I have other business to attend to. ", Faunus said, gradually fading in a glittering cloud of pine fronds. "You mean with Marcus ? ", Novius said, hopefully. Do you think that you people are the only humans that I have to deal with ? ", Faunus replied irritably - his sweet voice fading, along with his image. 'Novius and Marcus and Petronius' - For some reason Novius couldn't settle after the visit by Faunus. He picked up one scroll after another, but could barely recall what he was reading. Eventually he replaced all the scrolls in their neat little columbaria, adjusted his toga, and decended the stairs to the main atrium. There he found Marcus and Petronius lounging on couches as they picked idly at olives and cheese. "Salve ! ", Novius said, 'testing the water' by not using the title 'Dominus'. "Salve, Novius." Marcus replied cheerfully. "And how are you today ?". Novius sat down beside Marcus, pointedly not asking permission. "Well - but a bit confused. ", Novius said. "I've just been chatting to young Faunus." Novius continued. He was not surprised - Faunus always confused him also. "I know what you mean...", he said, popping another olive into his mouth, and calling over a boy to refill his goblet. So did you make any sense of it ? ", Novius asked. We talked mainly about the trip to Athens. ", Marcus explained. "He seemed to think that if I went to Athens, and visited the places that I knew when I was a boy, I might remember some things that might help me. ", Marcus continued. "Help you in what way ? ", Novius asked. "Well - he's got this idea about me 'finding myself'. I don't really know what he means by that - but I'm prepared to go along with it - for the moment." Novius grunted in apparent agreement. "Regardless - I want to go back to Athens - just for old times sake...and for a change - and it doesn't look as if I'm going to shake off this young lad whatever I do - so I'll jut play along. ", Marcus continued. "Tell me, Novius," Petronius interrupted, "do you believe all this business about him being a 'faun', and being on some mission from some Goddess ?". Taking into account what he said to me today, he knows things that it would be impossible to know had he not some special power. Now whether he's really a 'faun' - well, that's neither here nor there. He has the horns, when he wants - appears and disappears at will - but it's what he knows, and the way he can influence people, and read their thoughts that makes me think that what he says is true. Also, so far, he has done nothing against us - and doesn't seem to have attempted to deceive us, or make us do anything against our interest. So I say that we accept him at face value - and see how things turn out. ", Novius explained carefully. "I think that Novius is right, Petronius - for the moment, at any rate. ", Marcus added.